(Nanowerk News) In work recently published in the Journal of Applied Physics ("Advanced mechanical properties of graphene paper"), a University of Technology Sydney (UTS) research team supervised by Professor Guoxiu Wang has developed reproducible test results and nanostructural samples of graphene paper, a material with the potential to revolutionise the automotive, aviation, electrical and optical industries. 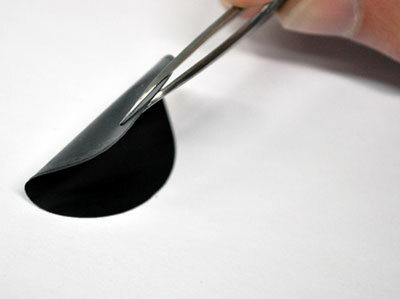 Graphene paper (GP) is a material that can be processed, reshaped and reformed from its original raw material state - graphite. Researchers at UTS have successfully milled the raw graphite by purifying and filtering it with chemicals to reshape and reform it into nano-structured configurations which are then processed into sheets as thin as paper. These graphene nanosheet stacks consist of monolayer hexagonal carbon lattices and are placed in perfectly arranged laminar structures which give them exceptional thermal, electrical and mechanical properties. Using a synthesised method and heat treatment, the UTS research team has produced material with extraordinary bending, rigidity and hardness mechanical properties. Compared to steel, the prepared GP is six times lighter, five to six times lower density, two times harder with 10 times higher tensile strength and 13 times higher bending rigidity. Lead researcher Ali Reza Ranjbartoreh said, "No one else has used a similar production and heat testing method to find and carry out such exceptional mechanical properties for graphene paper. 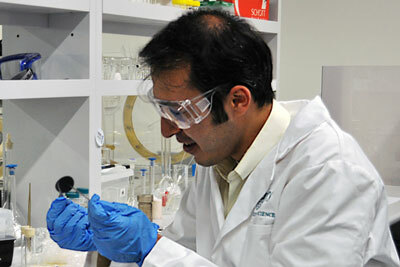 We are definitely well ahead of other research societies." "The exceptional mechanical properties of synthesised GP render it a promising material for commercial and engineering applications. "Not only is it lighter, stronger, harder and more flexible than steel it is also a recyclable and sustainable manufacturable product that is eco-friendly and cost effective in its use." Mr Ranjbartoreh said the results promise great benefits for the use of graphene paper in the automotive and aviation industries, allowing the development of lighter and stronger cars and planes that use less fuel, generate less pollution, are cheaper to run and ecologically sustainable. He said large aerospace companies such as Boeing have already started to replace metals with carbon fibres and carbon-based materials, and graphene paper with its incomparable mechanical properties would be the next material for them to explore. The production of GP from graphite also provides a remarkable amount of added value for the mining, material processing and manufacturing industries in Australia. In the last decade, metals have increasingly and rapidly been replaced with carbon-based materials. Australian mines have immense graphite resources making the new material a favourable option to industry as an economical, home-grown and world-class technological advancement for mass production and industrial application.